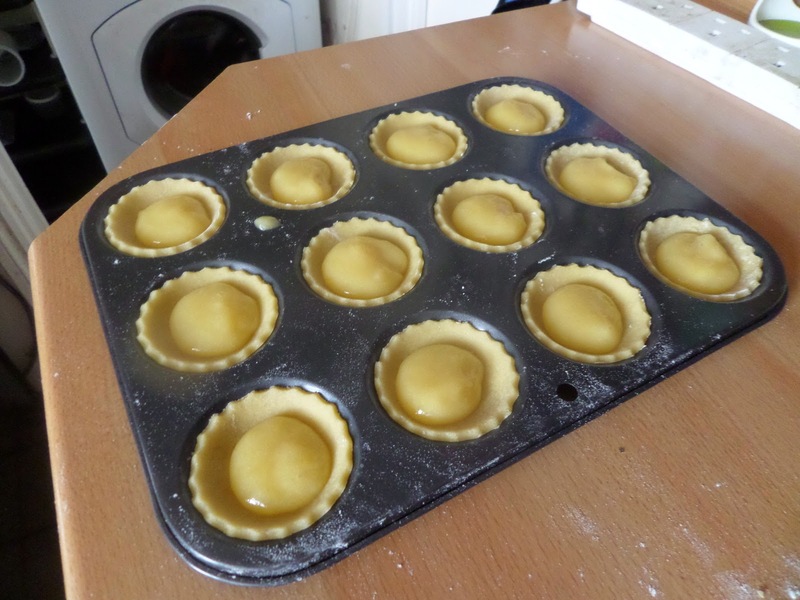 Yesterday with the leftover rough puff pastry from Friday’s chicken & chorizo pie we practiced making some jam tarts for Soph’s upcoming bake sale to raise money for Epilepsy Research UK. 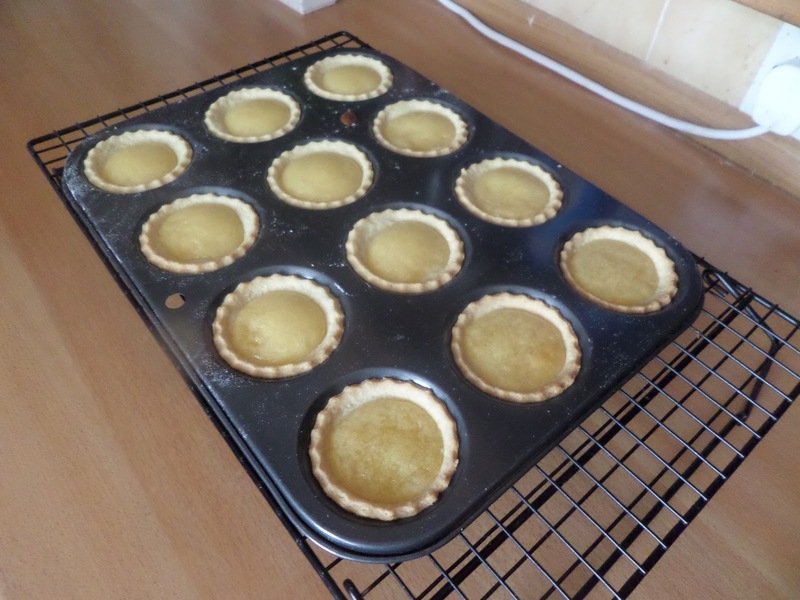 It all went really well: re-roll the rough puff, cut out, shove in a tart tray, add teaspoons of jam, bake for 15 minutes at 160C fan, slide out of the tray, and we had tarts. Obviously with the savoury pastry they didn’t taste as they should, and the pastry hadn’t got as much colour as an enriched pastry would, but they were very nice and we devoured them… well before I remembered to take a picture of them! Using the food processor I cut the butter into the flour and salt, then added the sugar, then the yolks to bring it together, form into a block and chill. Rolling it out was much trickier than the rough puff: it’s short and rich. 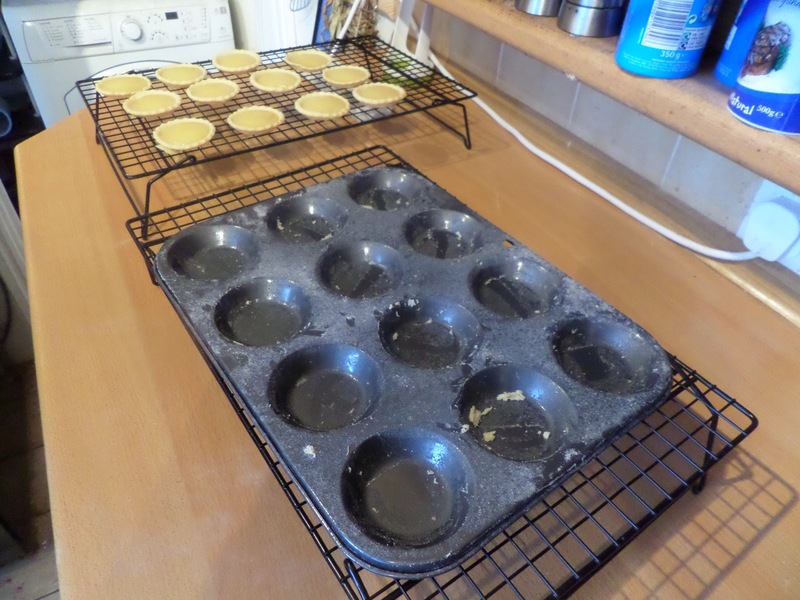 But we easily got 12 fluted discs cut out, popped them in the tray as before, and this time tried filling with some of Soph’s homemade lemon curd. 15 minutes in the 160C fan oven, and things were looking great. Oh dear! 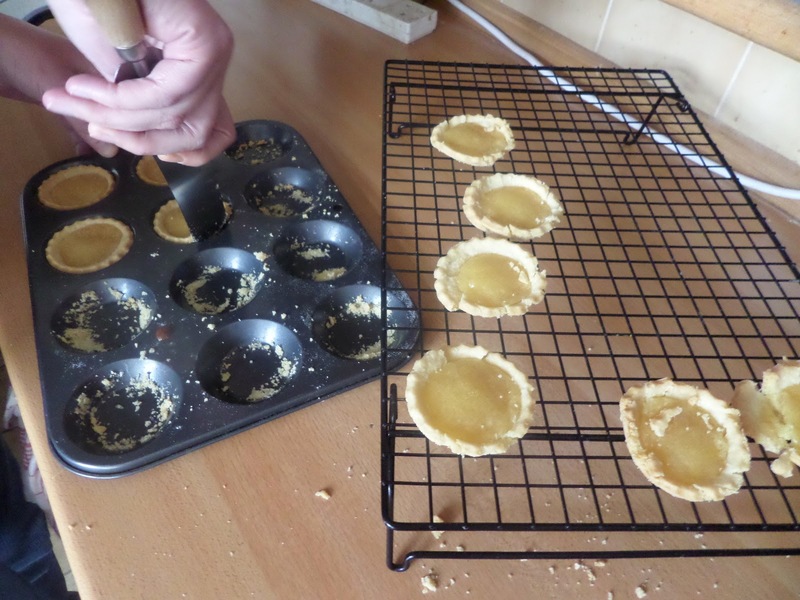 The rich pastry had stuck the tarts to the tray, and they fell apart trying to remove them. And this is why it’s good to practice! Reading up in Leith’s they recommend removing from trays as soon as they come out of the oven, whereas we waited a few minutes, but they were still warm so ti’s going to take more than that. 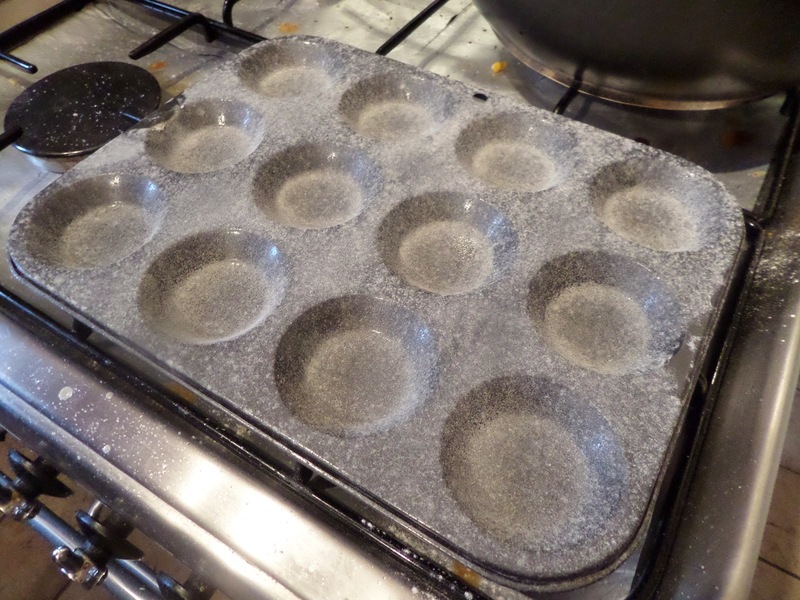 We’re not convinced that just spraying with oil before baking will work, so we’re going to do what I’ve seen ATK do: spray with oil then sprinkle with flour and tap off the excess before putting the pastry in. We’ll practice again tomorrow making those changes. So we tried again and did the spray / flour thing. Plus we took them out as soon as they came out of the oven. It was delicate and fiddly, but they came out without falling apart!